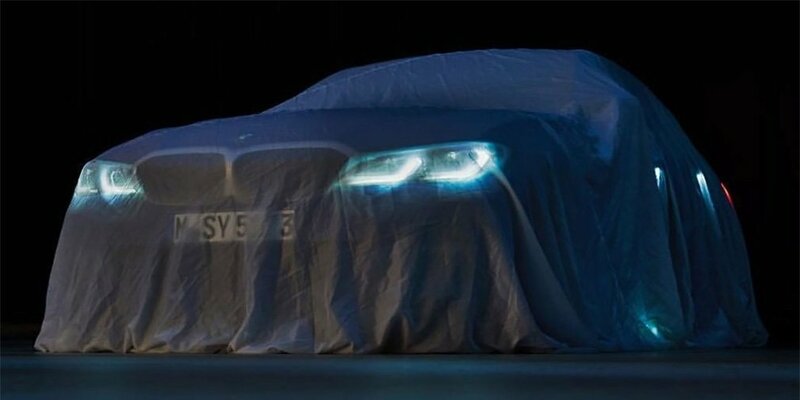 BMW has distributed a 3-Series new generation teaser. As it became known on the eve, that the novelty will make own debut in October at the Paris Motor Show. The image makes it clear that the sedan will be provided with a proprietary double radiator, but with a new design - it will unite with the headlights of the headlight. The shape of the front optics resembles a similar element in the 8-Series Coupe. The center of gravity of the car decreased by 1 cm, weighting was set at the rate of 50:50. The weight of the BMW 3-Series fell by 55 kilograms, but the strength of the body structure with the suspension was increased by 15-20%. The novelty will have a completely redesigned suspension - the sedan will be the first production car from BMW, which will have special smart "shock absorbers" that continuously and steadily function with the stroke of the spring. The engine compartment will include 3.0-liter engines on gasoline and diesel power of 320-360 "horses". Another 300-strong "turbo-quarter" is expected. Next, the car will have a hybrid version with a modification with a fully electric installation.